A gentleman is a man who takes care of others and is attentive to his surroundings. But to be able to look outwards and respect others, it is important to take care of yourself first. 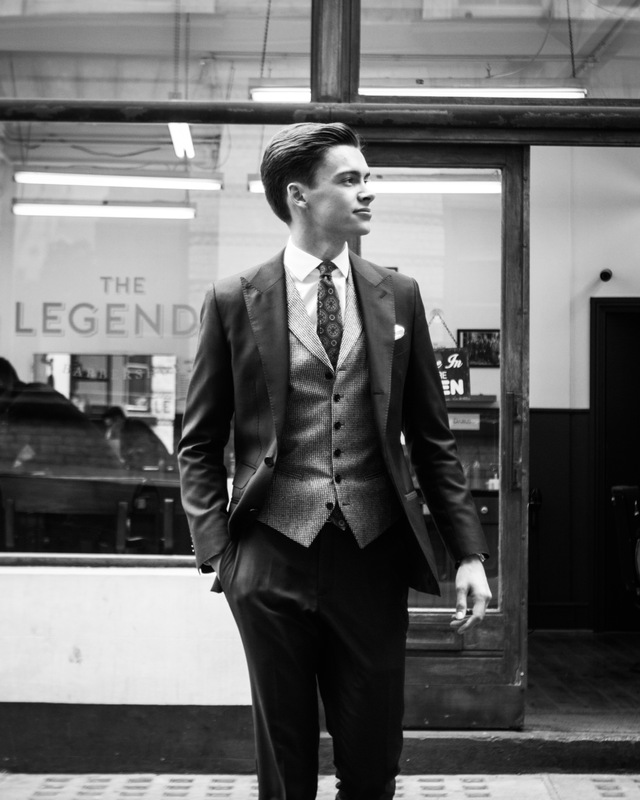 There should be left no compromise whether it involves your perfectly tailored suit, well polished shoes or neat grooming habits. Too many men wait with cutting their hair until they notice that it is too long. And the reality is that when you notice it, then other people have too. 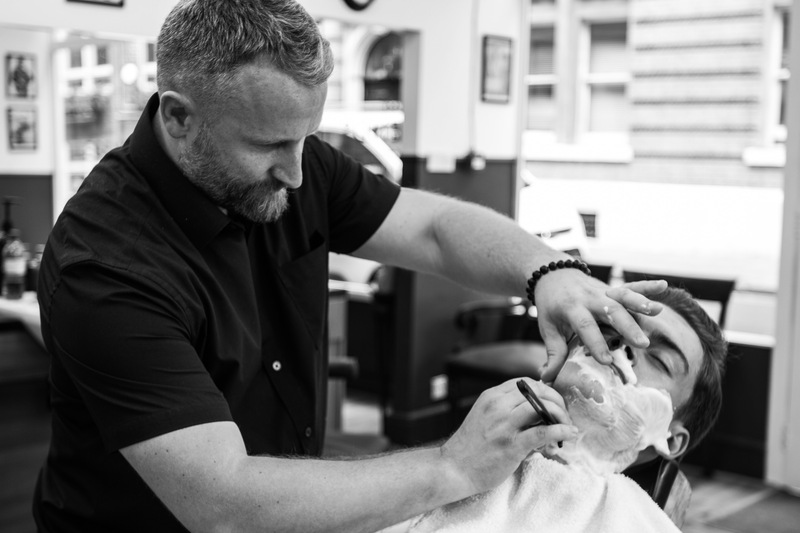 My advice is to book your next appointment while you are at the barber for approximately 4-5 weeks time – in this way your will be proactive and not reactive. Find a barber that you trust and stick to it. It’s almost like going to the tailor, your barber will know your hair and preferences better with time the more you see him. It can be a bit of a challenge to find the right hair product for your hair and style, so make sure you know what each product is for. Pomades and waxes are great for controlling thicker hair, but if your hair is thinner, then lighter products such as sprays will be the right choice for you. 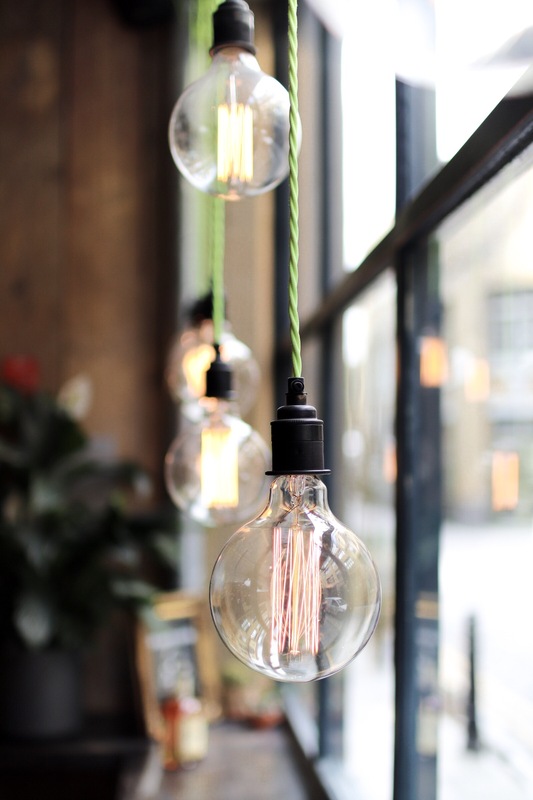 If you feel lost, then ask your barber for advice – the right product can make all the difference. Big eyebrows are not a bad thing. However, if they are meeting in the middle you have got a slight problem. Always tidy up the space between, above and below the brows for a clean look. If you do not feel comfortable plucking them yourself, your barber will always be able help you out. 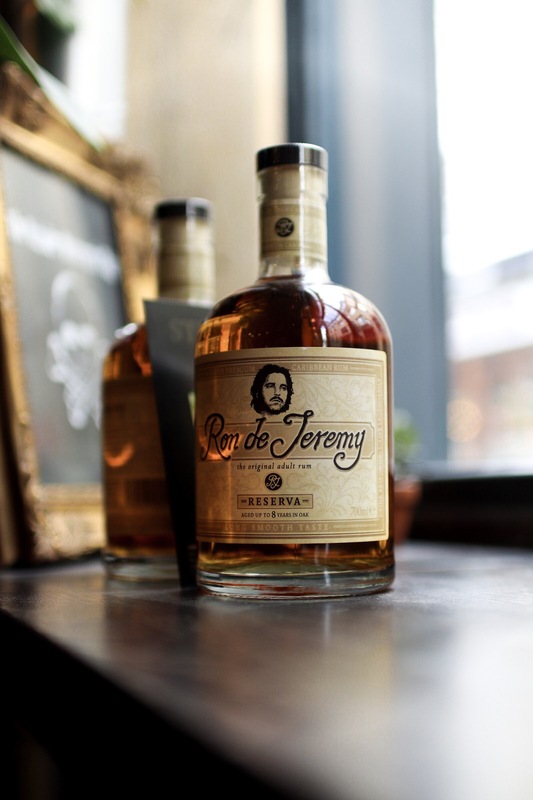 Facial hair of any length needs to be tamed and maintained. I personally prefer the look of a clean shave. 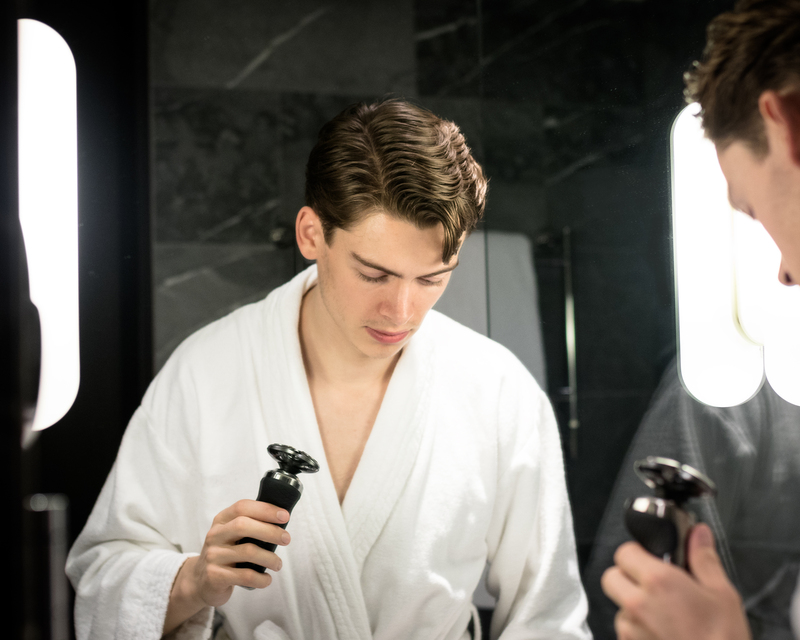 However, you might not have time for a long wet-shaving routine every morning, so knowing the basics of a good shave is key. Since my mid-teen years I have used an electric shaver from Philips that was gifted to me by my father. It always made clean shaving an easy job when rushing out the door on busy London mornings and it always gave me a very satisfying result. This is why I stuck to the brand and tried out a couple of their models as I grew older. Recently I was given the opportunity to review their new Shaver Series 9000 Prestige electric shaver. A new model focused on delivering the world’s closest electric shave with uncompromised skin comfort (even on a 7-day beard). 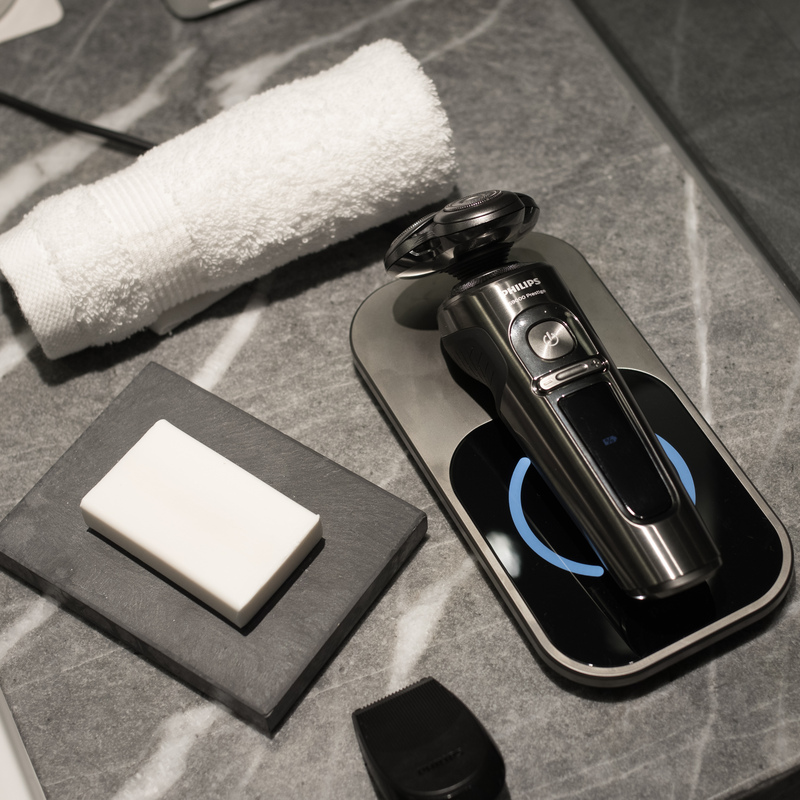 Upgrading from less premium models it was interesting to explore the personal comfort settings letting you adjust the shaving speed according to preference and shaving style: sensitive, normal and fast. It offers a blade close shave, whilst being incredibly gentle, making for a very smooth shaving experience. I also enjoyed being able to shave longer stubble that I normally needed to trim An effortless shave is made possible by the multi-direction ContourDetect head that follows every face contour, catching even difficult hairs. The result was a very clean and long-lasting shave. Design-wise the new shaver looks very sleek and elegant too. And a cool feature is the wireless Qi charging pad that fits seamlessly into your everyday routine. For more information on the Series 9000 Prestige click here. 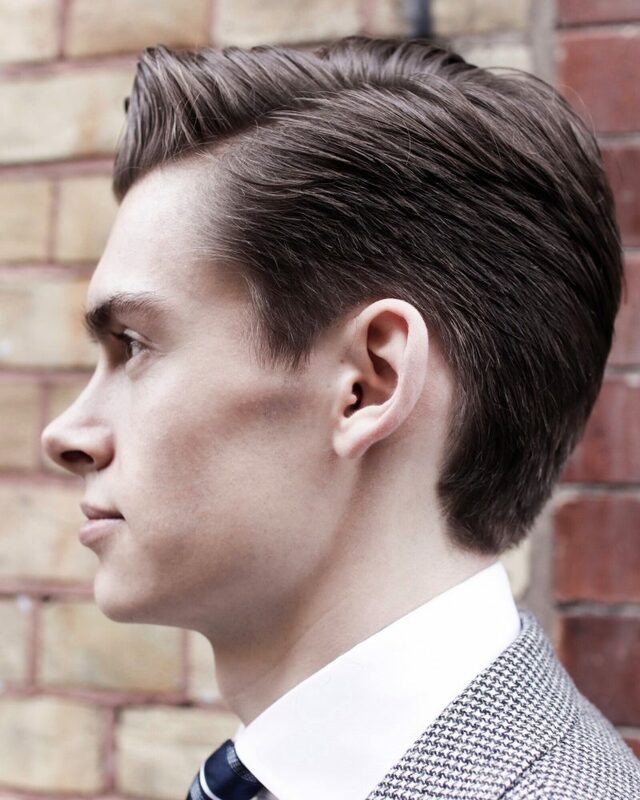 The side part haircut is known to give a very timeless and classic look. 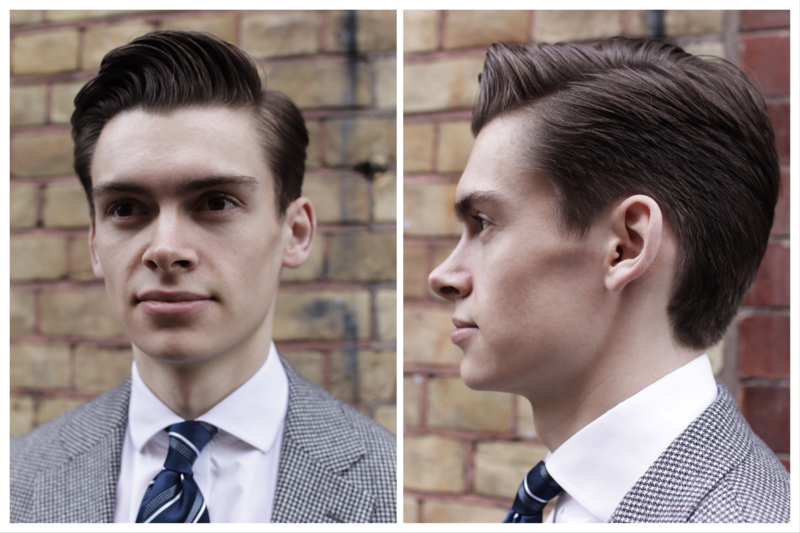 The haircut style is a go-to gentleman’s cut and was particular popular from the 1920s – 1940s and again in the 1960s. It has certainly survived the test of time, but why? Well, it’s a particularly adaptable haircut. 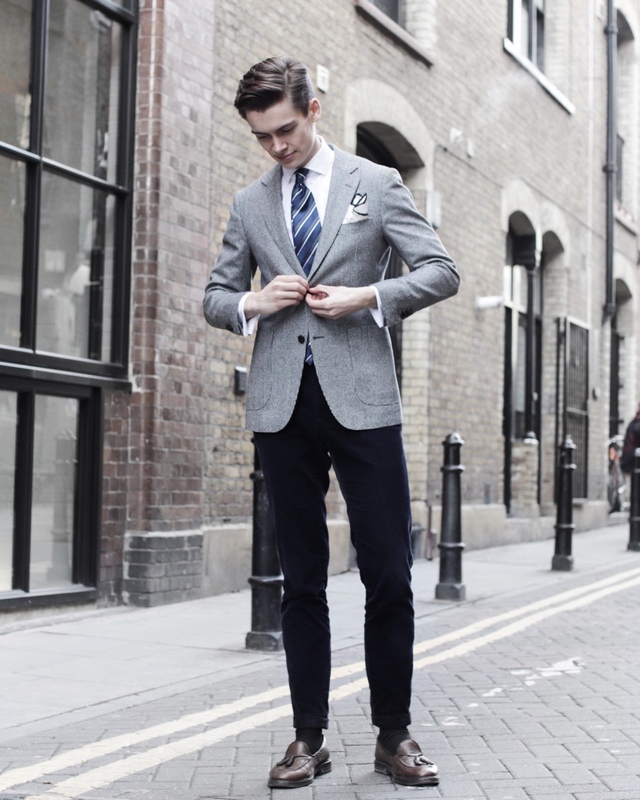 It’s nice for both casual and formal situations and also doesn’t take too much time to style. 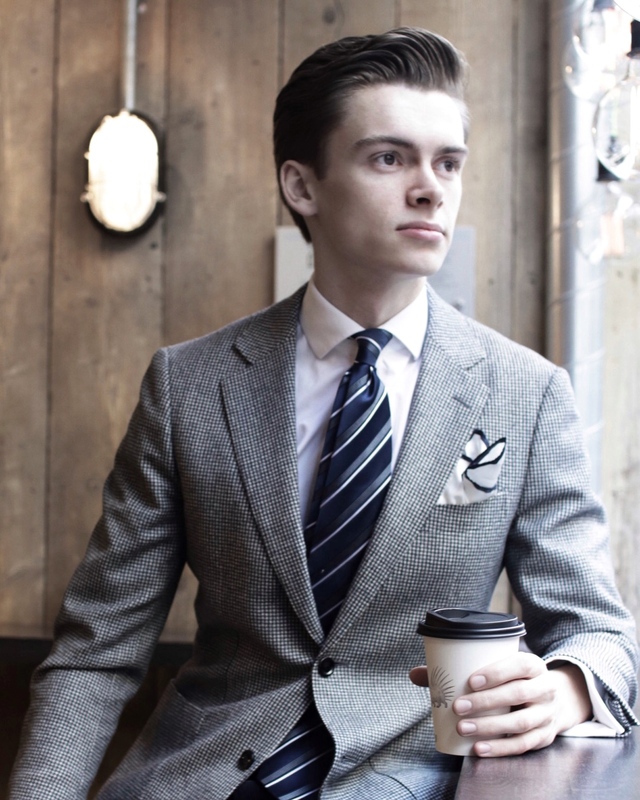 With a little effort in the morning, you’ll have a dapper cut ready to go. When it comes to styling the hair, I use a styling paste as I have very thick hair that needs a strong hold, while a matt clay will work better for thinner hair. I have found it best to apply the product while the hair is damp (not wet) after a shower and then shaping the parting with a wide tooth comb. 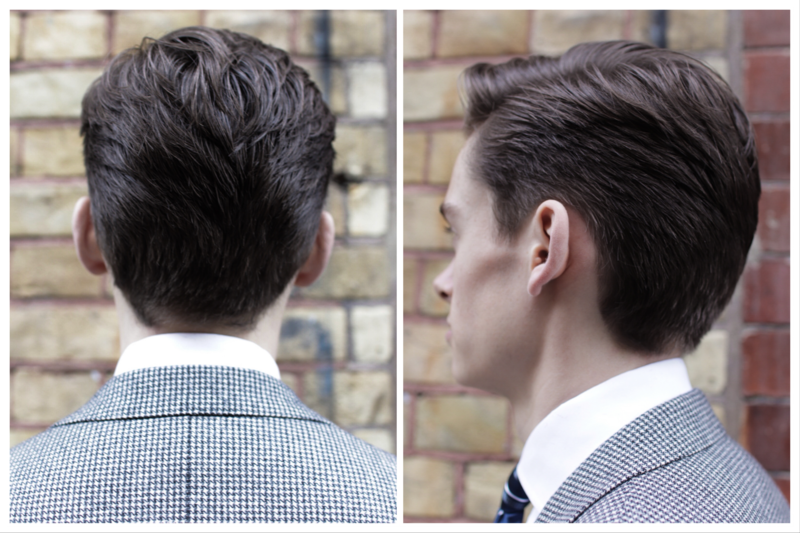 It is important to find the natural parting of your hair as this will give you the best look and hold. I try to stop by my barber every 3-4 weeks to keep my haircut sharp and tidy. 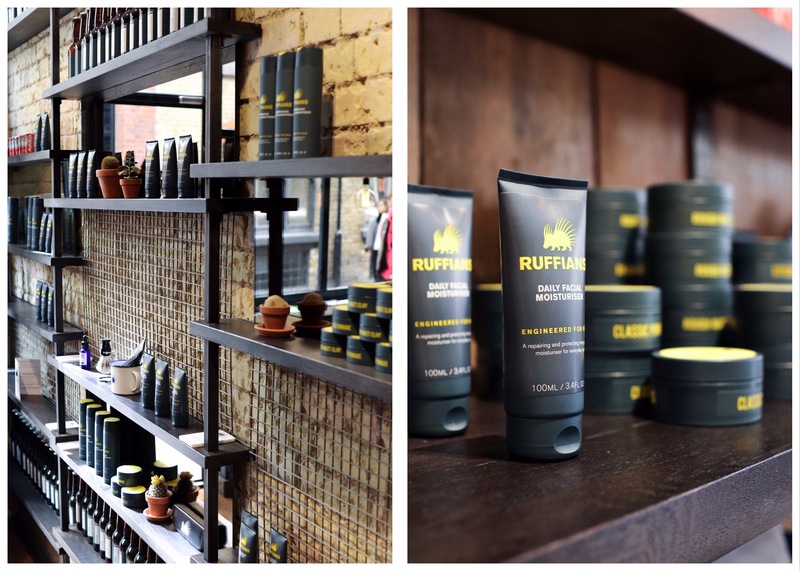 For the past 6 months I have been going to Ruffians’ Shoreditch shop where TJ cuts my hair. I am always met with welcoming smiles and positive vibes, and every time I walk of there the result is very satisfying. That is why I can surely say that it is my favourite London barber shop so far. 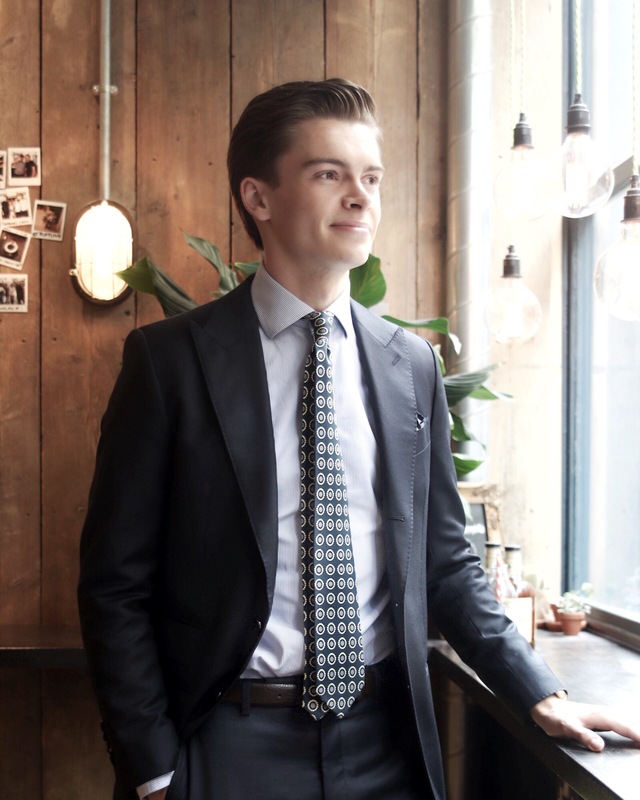 When stopping by Ruffians last week I was wearing a grey houndstooth blazer, a blue striped silk tie, a classic white double cuff shirt, with navy corduroy trousers and a pair of tassel loafers.